Order Capture Only for processing off-line using your existing Merchant Accounts and POS system. Merchants Accounts complete with Real-Time Processing in a variety of currencies for businesses around the world. Real-Time Processing Only for companies that have suitable existing Merchant Accounts. 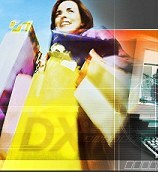 Accepting payment by credit card is a standard feature of DXshop. If the Merchant wants the ability to accept credit cards such as Visa, MasterCard, American Express, or Discover, DXshop can be set up to 'capture' the credit card information with the customer's order. Once an order has been placed, the Merchant is sent an e-mail informing them that a customer has made a purchase and that they can access this order in the Order Pick Up area of their DXshop Administration. When the Merchant enters the Order Pick Up Admin area their browser launches a Secure Session. Sensitive credit card information is never sent over the public network and is available only to the Merchant. After the Merchant has retrieved their orders, they may process the transactions off-line through their existing Point Of Sale authorization system. They may, at that time, decide to send their customer an e-mail letting them know that the transaction was accepted and when to expect delivery of their order. 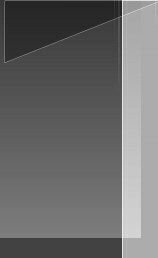 DXshop is tightly integrated with DXGreenGate; DXStorm's own fully featured payment gateway. Through the soon to be released DXGreenGate, Merchants are able to authorize Multi-Currency Mastercard, VISA, AMEX, Discover, Diners Club or JCB transactions in real time. GreenGate offers unparalled merchant reporting and fraud prevention systems, making DXStorm a true one stop shop for e-commerce. DXshop is integrated with Payment Services Interactive Gateway. If a Merchant has an existing Merchant Account, DXShop communicates with the Payment module which communicates with major Canadian and U.S. card processors to authorize credit card transactions in real time. Canadian and United States dollar merchant status is available for all qualified merchants*, regardless of their country of origin. There are no requirements to incorporate or open bank accounts in Canada or the United States to be a merchant. Merchants in almost any country with Merchant Status can accept VISA, MasterCard, and AMEX in a variety of currencies. Merchants do not require US residency status to process credit cards in US funds or other currencies. DXshop is integrated with a variety of processing systems. If a Merchant wishes to use the processing system they need to have Merchant status with the various credit card providers. The providing institution must have approved the accounts for Internet use. If the Merchant does not have suitable Credit Card Merchant Status, DXStorm can assist you, see the information above.